While reminding readers that the report published in full below from an ANP reader in Texas is one that we are unable to confirm, we have decided to republish it anyways as part of a public service announcement as we also share below a warning from a home inspector that could save lives. These reports are just the most recent that we have received in the last several days that all appear to be tied together. 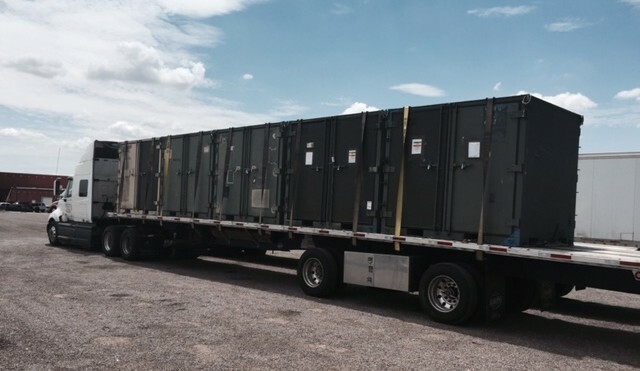 ANP also recently received the picture at the top of this story from a reader who shared he saw this truck sitting back behind an industrial park containing what he believes to be more gun confiscation equipment. 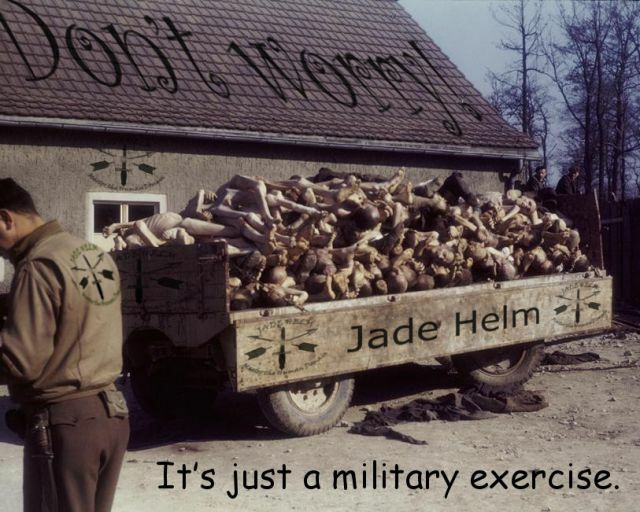 With Jade Helm 15 now underway in Texas and much of the southwest and the US Army's 'eyes and ears in the sky' confirmed to be over non-Jade Helm 15 states gathering as much information as they possibly can as shared in this linked story, we see this reader report as having merit and have republished it for our readers to peruse and debate. Coincidentally, this reader report ties in perfectly with a report from a Steve Quayle reader who tells us he believes that the government is now 'red listing' after a suspicious vehicle showed up in front of his house. That report in full below videos. While we are unable to confirm if all of this suspicious activity taking place in multiple locations is the government gathering information in preparation of exterminating ISIS in America or weeding out law-abiding American citizens who refuse to go along with the 'New World Order' global government agenda or something else all together, we feel that it is highly important to capture any suspicious activity via photographs and videos whenever we see it. The best way to capture such video/pictures is from a home vantage point where you can see them but they are unable to see you. On July 23rd, in a neighborhood in Lumberton, Texas... I was sitting in my garage. My garage opens to the road, and across the the street my parents have a home on an acre of land. I noticed a man in black sports material shorts with matching black polo type shirt walking up the road and start walking up their driveway. He was carrying a commercial style tablet such as UPS uses. He had short cropped hair and a beard. My view of their carport is obscured by my truck, so I made a note to ask my dad later what he wanted. A few minutes later he walked out of the driveway and turned and walked past my driveway as if I were not here. I was using a water hose then to wash my driveway. Several minutes later, a different guy came walking from the direction the first guy went, dressed the same way, in black, with what looked like a photo ID clipped on the front of his shirt. His hair was cropped short, he was clean shaven. I was watching him and he looked at me and stated, "it's very hot", and I replied, it is very hot..... This was odd. About thirty minutes later I went to pick up something to eat, as I was coming back through the neighborhood I saw another guy, dressed the same way, looking at his cell phone and walking. This one had black hair and a beard. So I go ask my father what the original guy wanted and he said they were offering some type of home service, but couldn't recall what specifically, my dad is 81. I asked my dad what else he said. He said, the first thing the guy mentioned was the fact my dad had his American flag displayed on a hanger at his garage. My dad told him he was in fact a Korean War veteran. That guy then stated he had been to South Korea. Then it all dawned on me. I'm a Navy veteran (4 years-77-81). They all a had slim runners legs, but very well defined upper body structure. Two inch beards, except for the second guy. I immediately felt these were SEAL team or other operators canvassing the neighborhood. I was here, but they didn't ask me about home improvement, ......so now I feel I'm on the red list. HOME INSPECTOR SPEAKS UP_Teach your children to never open a door! Stay vigilant, prepared, patient and ask questions immediately without hesitation! I photograph hundreds of houses every month as I am a home, mortgage and occupancy inspector now days. I appreciate those who come out to ask me what I am doing but on the other hand I appreciate those who don't answer their door too. I have magnets on my truck and an i.d. badge lanyard around my neck. I do realize the mortgage companies are keeping tabs on their properties but in most cases people are behind on their payments. Even if you refinance or are having work done they will have pictures taken, it is the unfortunate world we live in today. I have been chased down and stopped in the road, good thing I'm a patient man, and this week a 10 year old girl opened the door with no parents home. Teach your children to never open a door! 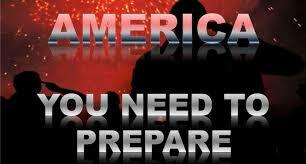 Stay vigilant, prepared, patient and ask questions immediately without hesitation! The next two videos below from Dark Horse News show us a compilation of all of the massive military movements, drills and training exercises that have been going on across America recently. What are all of these movements/drills in preparation for? Steve, I think the gvt is red listing. Four days ago a small pickup with post office magnets on the doors stopped on the curb in front of my front door. The guy never got out of the vehicle, but was watching my door and doing something with his hands. I watched him through a window of my house until he drove away about four minutes later. I mentioned it to my wife, who was there with me, and observed that it was an odd behavior, as our mailbox is one block away, and he passed it to park at my front to door, and never got out. Maybe he was texting, right? But in the last two days I have seen him do the same thing twice more. We are busy around our small town and driving a lot, and both times I saw this same Toyota Tacoma extended cab truck with post office magnets on the doors drive up to an address, stop, fiddle with his hands out of view, and drive away. 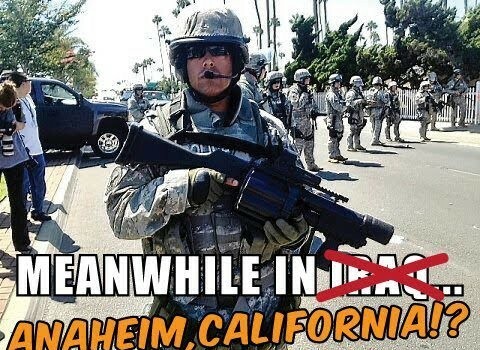 I live in the middle of jade helm central. My town is between the special forces operating around Junction Tx, and the 82nd Airborne jumping into camp Bullis. We are stone cold gun-toting conservatives around here and we will prove it if pushed. I am a widely published writer of truth, and broke the story a few weeks ago about Palantir being funded by the CIA, and Jade being fueled by Palantir. Palantir is the eye of Mordor, incidentally. Wiki search it. I'm also x military police investigations and a very outspoken advocate of defending the constitution. Bottom line is this - my gut instinct is that the post office magnets are cover, and this guy is verifying that people on his list live at the address of record. He is likely obtaining license plate numbers of vehicles on site and using that data to privately confirm that the redlisted individual lives at that address. If they are red listing ( and you know they gps'd your home already) then the odds of Jade Helm going live in mid-August are higher. If I see the guy again, I will stop and ask for some postal id. I will also get a good look at his console to see if he has a console-mounted computer in there. The post office does not deliver to houses where I live, so he has no excuse for stopping at these places. I know that this jade helm deal is warmer than most suspect. I carry a $10 generic and anonymous flip phone and last week I got about five 32kb files texted to me from an unknown number. The NSA tries to inject Trojans into newly activated phones, and from my own years in IT, that 32kb file size is a big red flag. And then they quit. I think my phone is still anon, but you and I both know things are about to get wet. 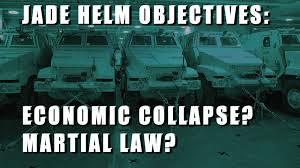 While we look at the picture below as one possibility of the end result of Jade Helm, we obviously feel that such an end result is a worst-case possibility and highly unlikely. ANP and ALL Americans should support our military completely in their bid to eradicate ISIS and other terrorists from America. Christians, 'Patriots' and 2nd Amendment/US Constitution supporters will be standing beside our military and law enforcement officers across the country to make sure that effort is successful. The final video below shares of Americans stepping up to the plate to provide protection for our military in need, a military that is unable to protect themselves due to governmental decisions.